Treat your locks to the Oil Reflections Luminous Smoothing Oil from Wella Professionals. Harnessing the powers of Camellia Oil and White Tea Extract, the luxurious formula infuses individual strands with long-lasting moisture and hydration, whilst restoring softness and mirror-like shine from root to tip. 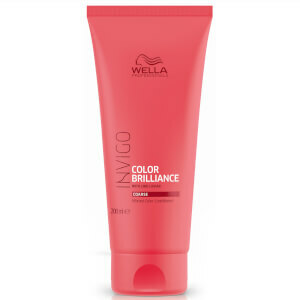 Can be used as a styling product, leave-in treatment, or pre-shampoo oil to restore smooth, healthy-looking hair. Brukes før sjamponering, som en leave in-behandling eller som et stylingprodukt. Cyclopentasiloxane, Dimethiconol, Alcohol Denat., Parfum, Tocopheryl Acetate, Hexyl Cinnamal, Linalool, Limonene, Aqua, Persea Gratissima Oil, Macadamia Ternifolia Seed Oil, Cocos Nucifera Oil, Alpha–Isomethyl Ionone.